It’s hard to believe that Blessings in a Backpack Grand Ledge has been up and running for such a short time as we reflect back on the many things we were able to accomplish this past year. We initiated the Blessings in a Backpack program in October of 2012 at Beagle Elementary School. We began providing the hungry children there with a bag of kid-friendly food such as tuna, soup, applesauce, raisins, oatmeal, canned vegetables, macaroni and cheese, and granola bars to tide them over on the weekends. Volunteers packing the bags at Sawdon. Because of the generosity of the individuals, businesses, churches and service clubs who donated money to our effort, along with a grant from the Jackson National Fund, we were able to expand the program into all five elementary schools in the Grand Ledge School District in early 2013. By the end of the school year in June of 2013, we were feeding between 250 and 300 students who were considered at-risk for food insecurity on the weekends. There is nothing more basic and important than feeding a hungry child. Better test scores, improved reading skills, positive classroom behavior, improved health and increased attendance have all been attributed to the success of Blessings In A Backpack programs. “I already see a difference,” a local teacher told one of our volunteers, just two weeks after the program was initiated at her school. 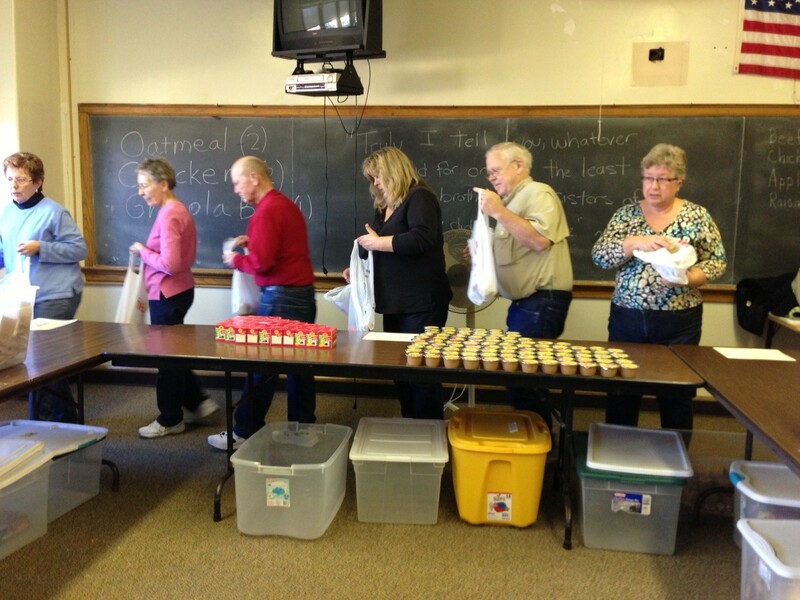 Blessings In A Backpack Grand Ledge is a 100% volunteer-run, community –supported program. School secretaries, Parent Teacher Organizations, the Grand Ledge and Wacousta Lion’s Clubs, businesses, and community members all gave donations of time and money to ensure that all aspects of the program ran smoothly. 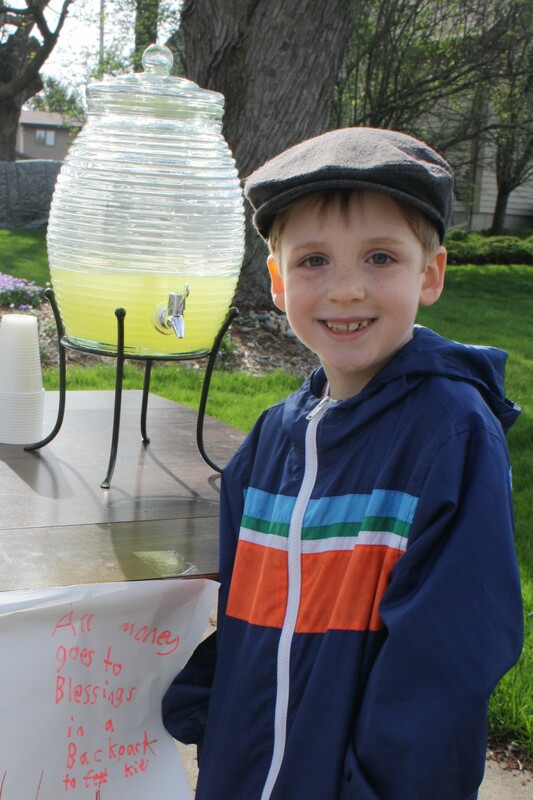 Even 6-year-old Zack Zulewski contributed the $50 he made from a lemonade stand to our program. Every Wednesday, the bags had to be packed, and every Friday the bags had to be delivered to the schools. Our Wednesday packing sessions have become so popular that our volunteer calendar is already booked through 2014! Based on the end-of-school-year numbers in June, we anticipate that we will provide weekend food to between 300-350 hungry students in the Grand Ledge School District during the 2013-14 school year. We also would like to be able to provide food for about 30 students in the middle and high schools who have been identified as homeless by their school counselors. Because they require more calories than the younger children in the program, we would like to be able to provide them with extra nutrition, contingent on funding. 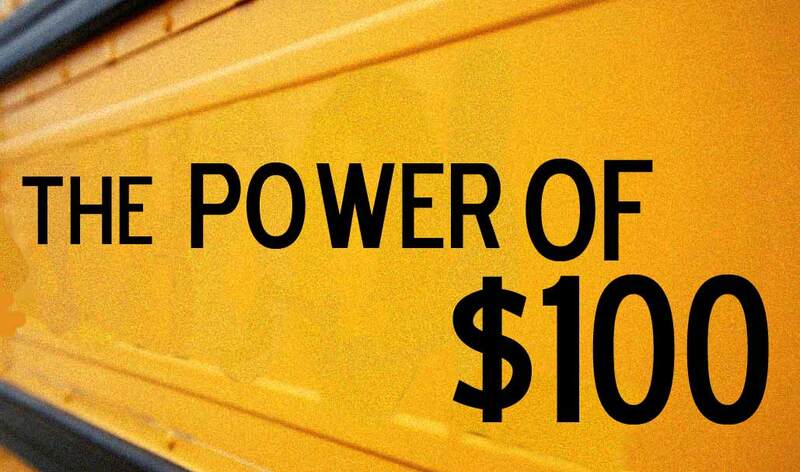 Due to increased food costs and to ensure adequate nutrition, we are campaigning for $100 per child to fill the food bags this year. Checks can be mailed to: Blessings in a Backpack Grand Ledge, PO Box 162, Grand Ledge, MI 48837. As the old African proverb says, “It takes a village to raise a child.” Let’s rally around the hungry children in our community again this year, Grand Ledge. Please help us reach our fundraising goal of $35,000. Blessings In A Backpack Celebrates One Year Anniversary!